Negotiations are under way in an effort to bring together all republican groups in the city next year for a single, united Easter march to mark the 100th anniversary of the 1916 Rising. 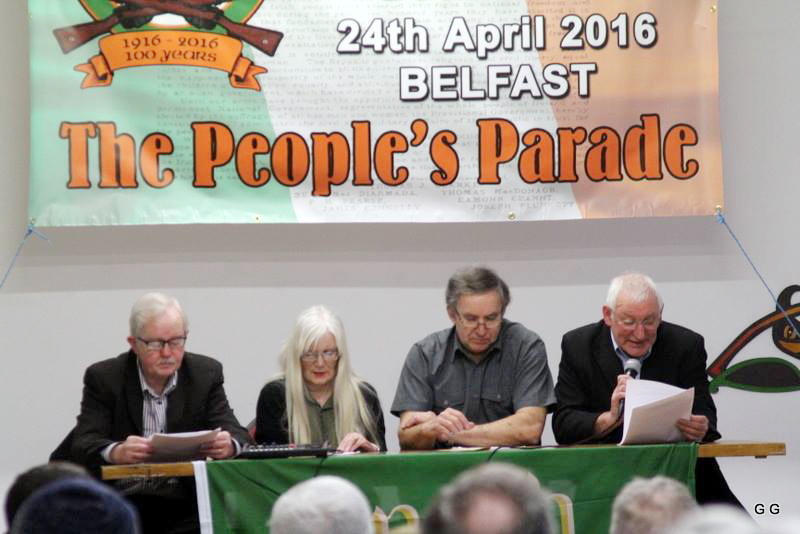 This year, various republican groups and factions will as usual organise their own Easter events across Easter Sunday and Easter Monday. Last year there were nine separate events (see list below), and against the background of constantly shifting dissident republican politics, this year there could be even more. The myriad parades inevitably lead every year to wry comparisons with the Monty Python ‘People’s Front of Judea’ sketch. But now the newly-formed 2016 Parade group hope that next year all republican groupings will forego their annual parades for a one-off show of unity. Spokesman Sean Cahill explained the reasons behind the plan at the launch of the 2016 Easter parade project. “This group came together in the last few years with one aim – to provide an opportunity for the people to honour the men, women and children who fought and died for the freedom of our nation in 1916,” he said. “Each of us involved in this group come from an Irish republican background and our affiliations are varied. However, we have agreed that all personal politics remain outside the room and that it is more important to do the right thing in honour of our brave forefathers. Sean said they believe the event will appeal to a wide range of republicans. The organisers hope that the event will bring together groups from right across the north. The planned 2016 parade will begin at Barrack Street and proceed to Divis Street, continuing along the Falls Road into Milltown Cemetery and on to the Harbinson plot, where a short ceremony will be held to give all those gathered a chance to pay their respects to the men women and children who took part in the 1916 Rebellion. Delicate negotiations are at an early stage and, given the bitter enmities that divide some of the groups, organising a single mammoth march would appear on the face of it to be an impossible task. But it’s our understanding that the 2016 parade organisers have been encouraged by the response so far from the various groups.